One of the best parts about single coil pickups is that if you’re looking to get a new sound from your guitar, you don’t have to go out and purchase a brand-new instrument. If you’re looking to upgrade or change up the sound your instrument is producing, all you’ve got to do is update your pickups. 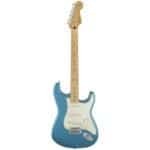 Single coil pickups are a common use for electric guitar and electric bass guitar. All guitars that have an amplified system fall into two separate groups: humbuckers and single coils. The big difference between these two systems is that single coil models produce crisp, bright, expressive sounds, while humbuckers produce full, thick, less articulate sounds. Single coil pickups are most often associated with the Fender Stratocaster guitars but have also served as a versatile pickup for countless other guitars and music genres. Today, we’re going to talk about the best single coil pickups that are available on the market today. While there are thousands of different models that are on the market, we created this list to include some of the best performing single coils concerning their price tag. When looking for a single coil pickup to purchase, understand that there is no right or wrong choice to make. Choosing the type of single coil pickup, you want is all based on what kind of sound you’re looking to achieve from your guitar. However, there are two things that you should consider before finalizing your purchase for a single coil pickup. More importantly, you should think about what type of music you’re looking to play on your guitar. If you’re a musician who is looking to play with distortion, you’re going to want to look into using a different single coil pickup than a musician who wants to play clean would. 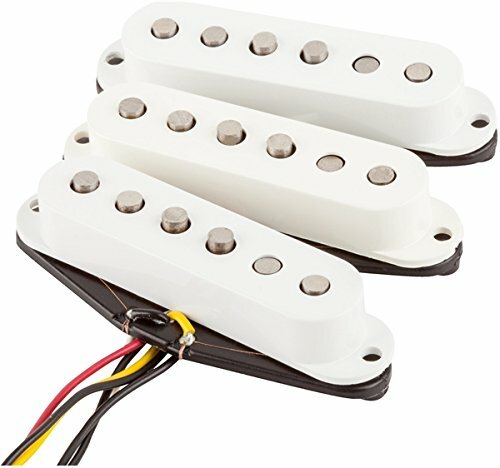 High output single coil pickups produce distorted tones with less effort, so if you’re looking to play loud and aggressive music, you should look into getting your hand on a high output pickup. Moderate output single coils are great to use if you’re looking to produce clean sounds, while you can use distortion pedals or amp to dirty up your sound. The incredibly affordable price tag on the Musiclily Tele Bridge pickup may make you question the quality of this single coil pickup. 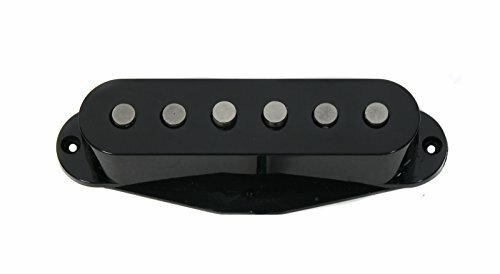 This since there are thousands of single coil pickups on the market that hit the $10 or less and end up being an absolute waste of money. However, the Musiclily Tele Bridge Pickup features a strong sound that produces a lot better of a sound than a good portion of stock pickups. However, it should be made known that the physical feel of this pickup is where you can feel the ‘cheapness’ of the pickup. The overall design, overall builds quality, and the packaging area where you can feel the price tag on the pickup; don’t be too surprised that when you pick up the Tele Bridge pickup that it feels rubbery. Don’t let the physical feel of this pickup scare you off, though. 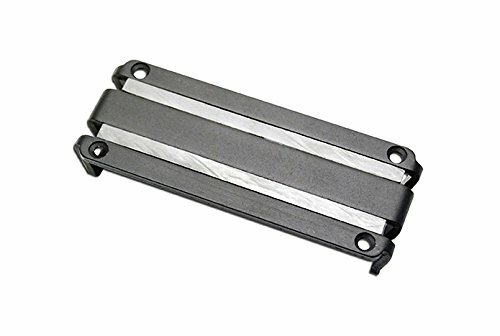 As we mentioned earlier, the sound that the Tele Bridge produces is much better than the sound that the majority of stock pickups on beginner level guitars produces; the Musiclily Tele Bridge pickup supplies musicians with a mid-range attach, with bridge trebles, and a solid bass sound. This is a great solution to use if you’re looking to upgrade your entry level six-string! The DiMarzio ISCV2 Evolution pickup provides musicians with exceptional versatility. Also, it has proven itself to be a pickup that can adapt to any musical genre, as well as the ability to adapt to any pedal that you’re looking to add to your mix. If you happen to be a musician who enjoys using pedals, this is one of the best pickup options for you. This pickup does an exceptional job of covering all sonic frequencies, leaving enough room for musicians to experiment with their sound, and enough sensitivity to leave room for personalized expressions. The Fender Tex-Mex Strat pickup is a single coil pickup with a low gain. 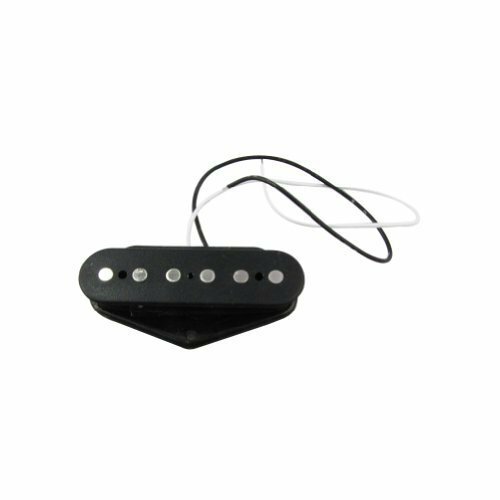 This single coil pickup provides musicians with a bluesy sound with a bit of overdrive, making it perfect for rock, blues rock, classic rock, and classic heavy metal. As for the overall sound production of the Fender Tex-Mex, you’re going to be getting your hands on a strong output with striking middles and trebles rounded together, with a warm bass. This combination allows your guitar’s sound to cut through nicely, without being too saturated in the middle or without sounding too dry. Since Fender manufactured this pickup, the Tex-Mex Strat pairs perfectly with the Fender Stratocaster guitars, by delivering an affordable Strat with a well-rounded punch and a strong sonic attack. However, that doesn’t mean that this pickup won’t serve you well, even if you don’t have a guitar from Fender. If you’re looking to copy a similar sound from a classic vintage Strat without physically having to purchase a new guitar, the Tex-Mex is a great option to consider. If you’re a musician that’s looking to get your hands on advanced pickups, the Seymour Duncan 11205 single coil pickups are an incredibly versatile pickup that you can use to operate a single coil and/or a humbucker device. 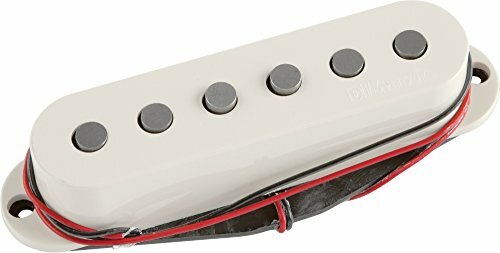 Seymour Duncan used a unique wiring combo that allows a musician to utilize the brightness, expressiveness, and accuracy of a single coil on one side while combining it with the fullness and richness of a humbucker pickup on the other side. 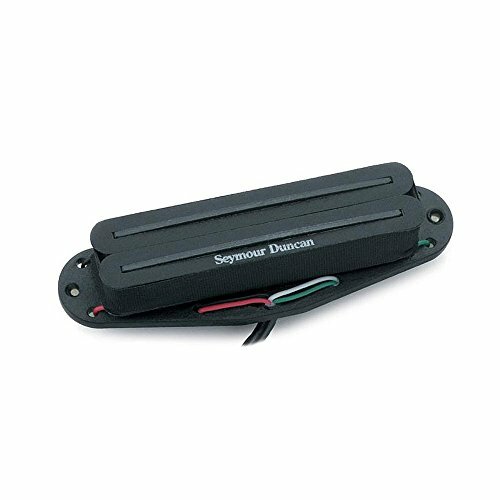 In other words, Seymour Duncan used two thin blades and unique coil windings to provide users with high-quality sustain and a juicy tone that’s perfect for both rock and metal musicians. While the price tag on this pickup may be a little more than budget musicians care to pay, many users talk about how using this pickup is like getting the ‘best of both worlds’, as well as excellent responsiveness. The Seymour Duncan 11205 reacts to even the smallest changes that you make in your playing your fretting style, and your strumming, which provides you with the opportunity to express your unique playing style during your performance. This is a high definition pickup that’s perfect for extended guitars. I would highly recommend the Lace Alumitone Deathbar if you’re someone who is looking for outstanding sound quality for metal, jazz, and rock music for live stage performances. The voice of this pickup produces an aggressive mid-range with a high output and can be paired with a large range of guitars. Single coil pickups are very simple to build, which means that it doesn’t take a whole lot to create your single coil pickup- just a couple of magnets and a little bit of wire. The simplicity behind their build opens up the door to endless possibilities to experiment with. From all of the experimenting that musicians have completed over the years with single coil pickups, there are now endless single coil pickup options available on the market today that vary in sound production, quality, and affordability. Make sure to take the time to think about what type of genres you’re looking to play your guitar before you make any final decisions about what kind of single-coil pickup you’re looking to purchase. Humbucker vs Single Coil: Which is Best for You? The Best Noise Gate Pedals – All You Need to Know!